Honoring local business leaders under the age of 40 who are excelling in their career field. A partnership with the Abilene-Reporter News. 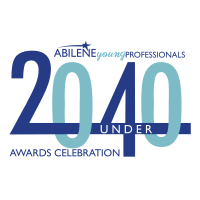 Join us as we recognize the 2019 20 Under 40 recipients. Special thanks to The Grace Museum, Sockdolager Brewing Co and the Abilene-Reporter News!